Have you got an email newsletter for your online business yet? It doesn’t matter if you’ve not yet got a product, or you’re only just setting up your website. Even if you’re not collecting email addresses, you’re missing out. Each email subscriber could be worth £2… £10… £50 or more to you in the future. Even if you don’t have a product yet, a responsive email list on its own is worth money because you can simply promote joint venture partner and affiliate products. 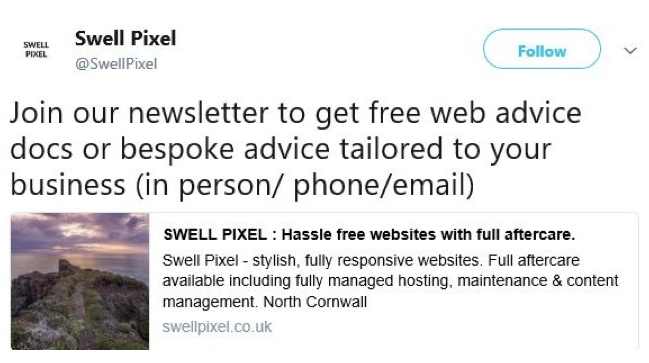 Or perhaps you DO have an email newsletter but you can’t get those subscriber numbers rising fast enough? In the January issue of Digital Upstart, I outlined a series of proven marketing campaigns you can use to launch new products. (If you’re not a full member you can start you risk-free trial here). A similar process can be used for email newsletters. Here’s a launch (or relaunch) strategy for you to try. Set up your broadcasting system on Mailchimp.com. For information on how to do that, take a look at our EMAIL MASTERY action plan here (you need to be a full member to access this or start your trial here). It gives you all the essentials you need to know about setting up an email alert service, including your welcome email autoresponder and editorial content. Write some great ‘ready to go’ email content before the launch. The trick is to schedule a burst of engaging emails go out in a timely, organised manner, without any long gaps or errors. 3-5 ‘evergreen emails’. These are emails that aren’t tied to a specific time of the week, year or month. They should target 3-5 of the top most pressing needs, goals or problems your customer might have. Think of them as your showcase. Set these up as part of an autoresponder series so that all new subscribers receive these. To get the maximum number of email subscribers onto your list, come up with a free offer on your website in return for a visitor’s email address. This will help you build a strong database of qualified buyers to whom you can sell directly. This free product is known as a ‘lead magnet’. It could be anything from a list of resources to a useful video to a white paper or report. It must have a clear benefit to the sort of person you want to attract. It needs to help them achieve a small goal, or solves a common problem, e.g. Carry out customer research or market research then come up with something that fulfils a specific need. A ‘Cheat Sheet’ that gives all the basic essential details that someone needs to know about a topic or activity. Perhaps write down a list of time and money saving techniques or tips. The beauty of cheat sheets is that they are supposed to be short – often just a couple of pages. Turn this into a video, PDF, booklet, podcast or whatever format you like, then move onto the next stage. Create your squeeze page, which promotes your email service and lead magnet and put it online. Lead Pages: Choose from hundreds of templates designed to offer your lead magnet and get customers to join your email list. Clickfunnels: Select from their templates and get a bespoke squeeze page built on their system. Now you’re ready to launch! Share your squeeze page directly on Twitter, Instagram or LinkedIn. Embed the email sign-up form that Mailchimp gives you into your website home page and also beneath the about me/about us copy. The golden rule is this: once you get your first customers onto the list, begin sending them emails at least once every week, full of interesting information, news, insights and opinions. Don’t just leave the list unattended or it will quickly become unresponsive and start to shrink in size.